The Heikkila Chemistry and Advanced Materials Science (HCAMS) building is open for use by students and staff. While the official opening ceremony is to be this summer, staff has begun moving over and the student study spaces are open. Instructional lab classes will be held in the space next semester (Fall 2019). Also this fall will be the beginning of a new graduate program at UMD- a master’s in Advanced Material Science. The nearly $30 million building will be a vast upgrade compared to the old UMD chemistry building built in the late 1940s. The upgrades are coming in the form of many laboratories and study lounges. No formal classrooms fit the plan of the HCAMS building. He continued that the space will hold five to six lab classes this fall and be home to a dozen research laboratories. A few of these are set up and ready for use now but the rest will be moved in over the rest of this spring and early summer. Given the large quantity of labs, HCAMS will become home to a new master’s degree program. HCAMS will house the Advanced Materials Science offices. According to Berry the master’s program will assist chemistry majors in learning engineering and engineers in learning chemistry. The Advanced Materials Science program will open this fall at UMD with the aim to bring together the programs into an industrial setting. 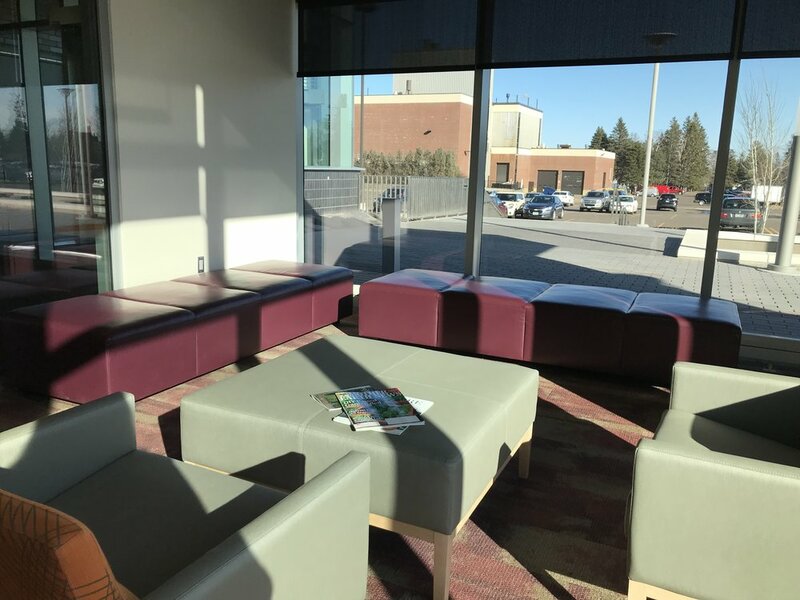 Another part of the HCAMS building that Berry and other faculty are excited about are the student study lounges. There are two lounges on each floor that are full of windows and natural light. These are currently open and available for students to use. HCAMS official opening will happen this August and lab classes will be held this fall. To stay up to date on more HCAMS news see the link below.